The land acquisition cost was $299,000 and was made possible by the DuPont-Waynesboro Settlement Grant. This special property will create a buffer to the current sinkhole pond complex as well as provide water quality protection for over 8,000 feet of headwaters streams. Work on the project will take place in partnership with the Department of Conservation and DCR’s Division of Natural Heritage, and eventually the land will become part of the Mount Joy Preserve. 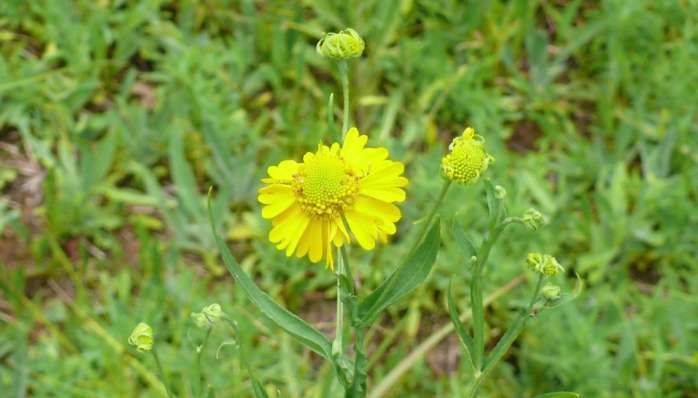 The VNPS purchase will help protect the habitat of one of the world’s largest populations of the globally rare Virginia Sneezeweed (Helenium virginicum). In addition, Mount Joy is also home to several other rare plant species including Swamp Pink (Helonias bullata), Prairie Loosestrife (Lysimachia quadriflora), as well as the state endangered Eastern Tiger Salamander (Ambystoma tigrinum). The transaction was recorded with a deed of open-space easement and Natural Area Preserve dedication with the Virginia Department of Conservation and Recreation. VNPS members and donors generously contribute to our fundraisers to support native plant and natural community conservation. In turn, VNPS contributes to DCR’s Natural Area Preservation Fund. This support enabled the Virginia Department of Conservation and Recreation to recently acquire two tracts of land totaling nearly 44 acres which were added to The Cedars Natural Area Preserve in Lee County in southwest Virginia. “The VNPS is proud to have helped with the acquisition of these important properties,” said VNPS President Nancy Vehrs. “The Cedars is an area of incredible biodiversity, and now these additional parcels will be protected for generations to come”. See more of VNPS’ past support for the Cedars Preserve. In announcing the acquisition, DCR noted: “Biologists consider The Cedars a biodiversity hotspot and among the rarest species-rich areas in North America. The preserve has many rare species including eight found nowhere else in Virginia. Likewise, many rare and imperiled fish and mussel species maintain a stronghold in the Clinch and Powell river watersheds due in part to decades of land protection and management. The Cedars also lies within a karst region with caves that provide rare species habitat. The karst also filters and has conduits for the region’s drinking water”. 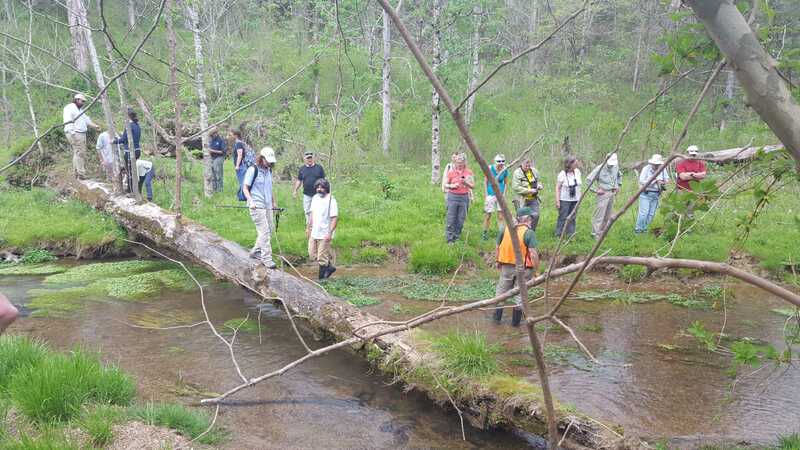 For a taste of the Cedars’ beauty, don’t miss Potowmack Chapter member Margaret Chatham’s post on her Visit to the Cedars Appreciation Days this past spring. More information is available in DCR’s Press Release.